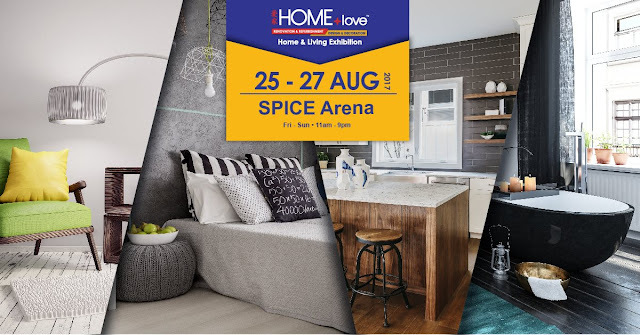 From kitchens and bathrooms, to bedrooms and living room, fixtures and fittings to the latest home appliances, you'll find it all under one roof at HOMElove. Visit us at SPICE Arena from 25 - 27 Aug 2017! Watch out for these fabulous lucky draw prizes each day! Shopping at HOMElove is an immensely rewarding experience. Spend a minimum of RM1000 and be entitled to participate in a lucky draw and stand a chance to win even more cash vouchers. Spend a minimum of RM1000 at HOMElove and you will be able to redeem from a choice of great branded products! The higher your purchase, the higher the value of your gift! Meet Master Sandy Paw who provides quick, easy and practical feng shui tips and techniques for harmonious home living. Let your kids unleash their creative flair in HOMElove’s colouring contest. They will have loads of fun and stand a chance to win fabulous prizes too! We are here for 3 DAYS Only! Don't Miss Out! Visit us at SPICE Arena, Penang from 25- 27 Aug 2017 ( 11am - 9pm ). See you there!